So you’ve probably heard alot about the different body types and might be confused as to what this all means ( don’t get confused with body shape, ex: hourglass, pear, apple, square..etc). In the 1940s Dr. William H. Sheldon introduced the concept of body types, or somatotypes. Since then, nutritionists, exercise physiologists, and even doctors have used it as an aid in designing effective, individualized fitness plans. The concept is that we all fall into the three categories below (although you can possess attributes of two different categories or even all three). Keep in mind that these are generalizations on basic skeletal somatotypes. The body type that we are born with is based on an inherited skeletal frame and body composition. Most people are unique combinations of the three body types: ectomorph, mesomorph, and endomorph. 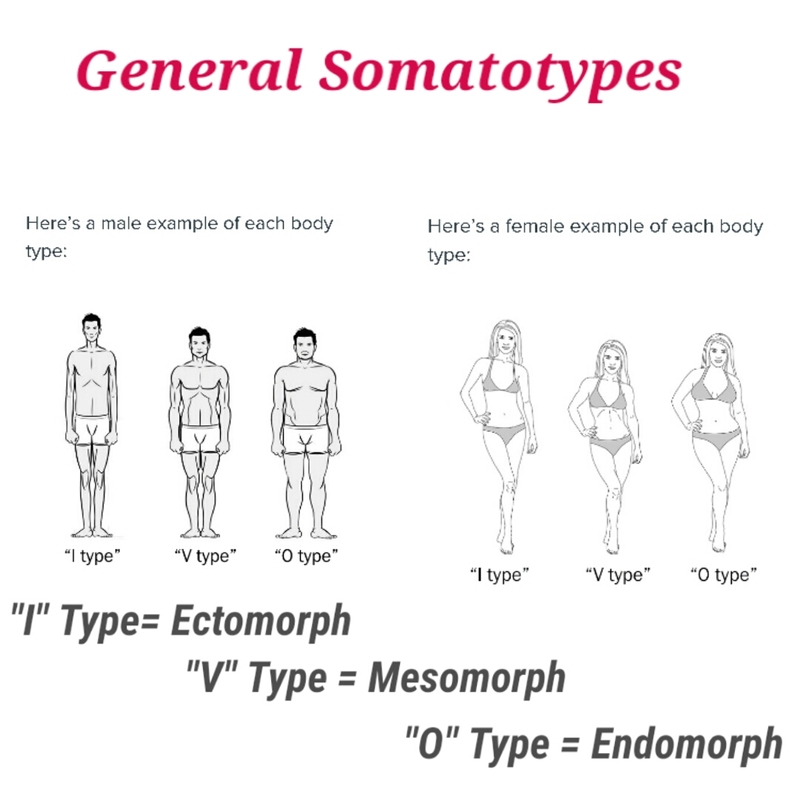 Some typical somatotype combinations include pear-shaped ecto-endomorphs (thin, delicate upper bodies & high fat storage in the hips and thighs), and apple-shaped endo-ectomorphs (high fat storage in the mid-section & thin lower bodies). • Are thin, with smaller bone structures and thinner limbs ( Ex:typical endurance athlete, basketball players, runway models). • Low body fat & low muscle. They have a hard time gaining mass. • Have a fast metabolic rate.They’re high-energy and tend to burn off excess calories with near-constant movement throughout the day. •High tolerance of carbs. Can eat almost anything without affecting their weight. • Higher carbohydrates in the diet + moderate protein + lower fat intake. • Vary your rep range. Train in the 5-8 rep range for your compound lifts (squats, deadlifts, bench press, etc. ), but go up into the 8-15 rep range with smaller muscle groups. • Ensure proper rest & recovery as this body type can easliy overtrain. • Can gain and lose weight without too much effort. • Usually have a considerable amount of lean mass (Ex:explosive athletes like sprinters, wrestlers and gymnasts). • Are built to be powerful machines. Excess calories often go to lean mass and dense bones. • Tend to be testosterone & growth hormone dominant. If active this type can easily gain muscle and stay lean. • A mixed diet, with balanced carbohydrates, proteins, and fats. • Due to rapid adaptation to conditioning, the body should be constantly hit with a combination of slow & moderate exercises, focusing on full ROM with weight training exercises that use fast reps produce good results. • Hitting compound muscle groups with heavy weights followed by targeted isolation and definition exercises at a mid rep range of 8-12 works well. Legs should be hit with both low and high reps.
• Larger bone structure with higher amounts of total body mass and fat mass. (Ex:Football linemen, powerlifters, and throwers). • Are built for solid comfort, not speed. • Naturally less active, which means excess calories are more likely to be stored as fat. • Endomorphs don’t tolerate carbohydrates well, especially if they are sedentary. 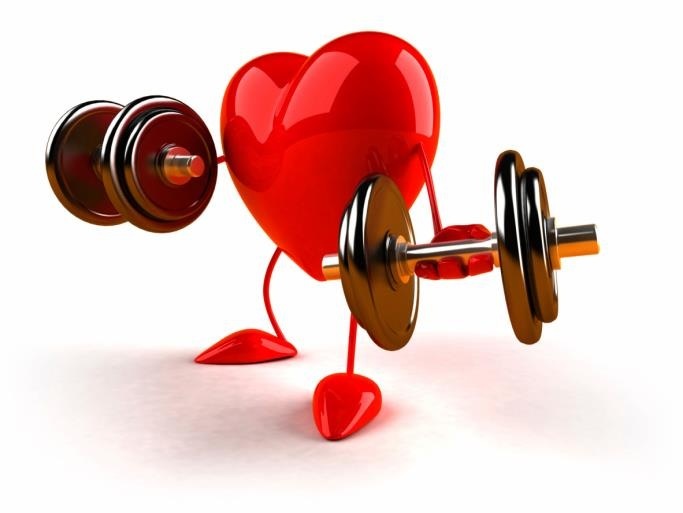 • Do best on a higher fat & protein intake with a lower carbohydrate intake being properly timed (typically post-workout). • Training should include high intensity exercises with minimal rest periods between sets (60sec or less). • To achieve maximum muscle mass, push every set for as many reps as possible, increase weight when you can to maximize progressive overload. This will keep you within hypertrophy ranges (muscle building rep ranges) & help you burn off fat & build more lean mass. So I think I’ve covered the basics. Hope this helps you understand your body so you can adapt your eating and training to best suit your goals. For more detailed information on nutrition for your body type (which includes some nice infographics) click here.